Alaska. 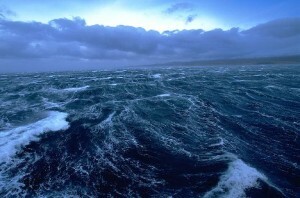 Bering Sea. Strong winds of 70 knots hammer the water.